AURA are Australia’s No.1 indoor sports and multi-purpose flooring specialists. With 30 years of experience and over 1 Million square meters of sports flooring installed across Australia and the Oceania region, you can be guaranteed to get the best quality of product and the highest level of service in the business. Synthetic floors, traditional wood flooring and engineered wood flooring, Aura offer the full range. Fulton Trotter Architects has a rich history of over 70 years’ practice across urban and rural Australia. They are highly experienced and skilled in designing and project-managing large and complex projects, particularly in Education, Health and Aged Care. Fulton Trotter have completed several Education projects with Spantech. 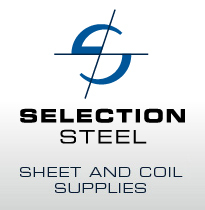 Selection Steel has been providing sheet and coil steel all over Australia since 1971. The company is privately owned and operated and has been built around a strong customer service culture. M4STEEL has been Spantech’s preferred steel fabricator since they opened in 2008. They produce quality work in a timely fashion. With qualified boilermakers and welders, M4STEEL is capable of producing all facets of steel fabrication required for the construction and mining industry. EISAU is an advanced promotional website which is a unique online community dedicated to connecting providers of goods and services with schools in Australia and New Zealand. They provide access to the broader schools market and are intent on providing alliances that last. For further information or support contact Spantech or call +61 7 5593 4449.